Let’s face it, one of the best parts about weddings is the food, and with a winter wedding, there are many opportunities to make your guests’ stomachs thankful. Make sure your guests’ hands stay toasty with a hot cocoa bar. It can easily be created with peppermint sticks, marshmallows, whipped cream, sprinkles, chocolate and caramel sauce, and any other candies you would want to add to hot cocoa. By adding flavoured liquors on the side such as Baileys or Kahlúa, the hot cocoa bar will be a hit with kids and parents alike! If you are planning on having an outdoor fire, take advantage of the flames by making s’mores. This budget-friendly idea only needs 3 ingredients: chocolate, wafers, and marshmallows. Although cakes are usually the norm when it comes to weddings, pies are a great option if you are getting married in the colder months. Not only are pies usually cheaper than cakes, but since there are so many flavour varieties, every guest will be satisfied and happy to receive a comforting dessert. Just like cakes, pies can also be beautifully decorated. 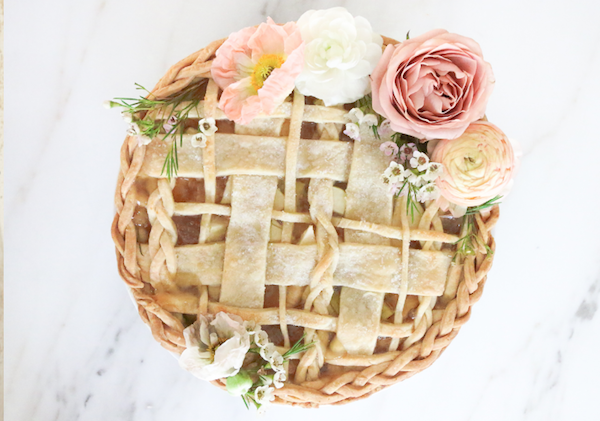 Lifestyle blogger Monika Hibbs created “The Prettiest Apple Pie” which would be beautiful on a dessert table. With a winter wedding, there are many party favours options that will be memorable for your guests but will keep you on track with your wedding budget. Some fun ideas include Christmas ornaments, embroidered mitts, or peppermint bark. 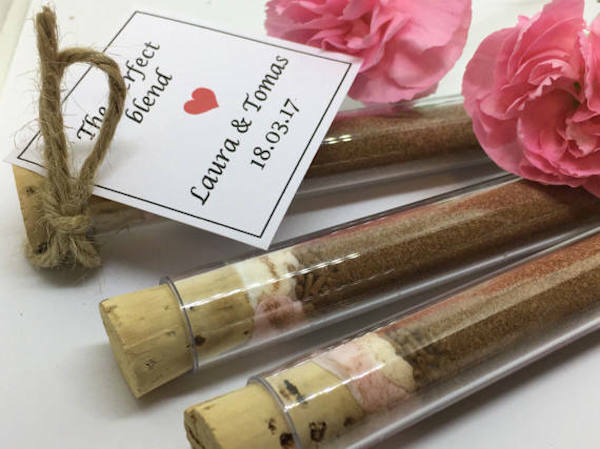 Hot chocolate wedding favours are an inexpensive way to give your guests a keepsake. You can make your own with plastic tubes or mason jars, hot cocoa mix, and marshmallows but if you are tired of doing DIYs, you can order pre-made tubes from Etsy here. 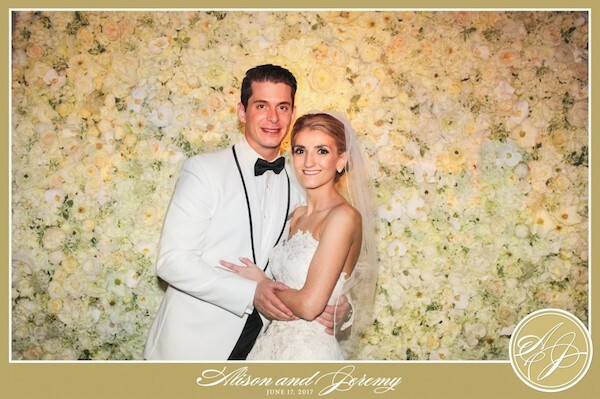 With a winter wedding, not only is the weather a huge component of your special day, it also sets the backdrop for breathtaking photos. Whether it’s snow, frost, or smoke from a campfire, or the flames themselves, try to integrate the cold weather into your photos as much as you can. The chilly temperatures also bring opportunities for cute photo props like mitts, scarves, hats, furs, and blankets, which can be used to help emit a cozy feeling. Rustic elements such as trees, mountains, or log cabins provide a beautiful contrast with the light shades of winter. If you’re looking for photography inspiration, be sure to check out “18 Photos That Will Have You Dreaming of a Winter Wedding” by The Knot which features a gallery of stunning outdoor wedding photos. Another benefit of a winter wedding is the opportunities you have when it comes to decorating. You have the ability to bring outside elements inside which can drastically reduce your decorating costs. 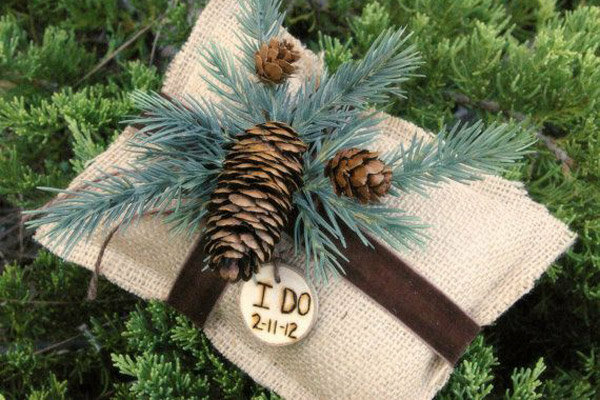 Pinecones, wood, branches, leaves, and twigs can all be utilized in your decorations. Natural elements can also be used in your invitations, centre pieces on your tables, as decoration in your party favours, or even in your bouquet. For a special touch, you can add a real mistletoe to your ceremony. Bridal Guide’s “20 Spectacular Decorations for a Winter Wedding” will provide you with plenty of inspiration to make your wedding unforgettable. Lets face it, even though winter weddings are beautiful, the cold weather can be a hinderance if you aren’t prepared. Just because its cold outside doesn’t mean your guests have to be. If your ceremony is outside, blankets can be placed on the back of chairs for guests or a basket filled with them can be placed at the entrance for people to grab as they are walking inside. Mitts or beanies can also be handed out to guests to make sure everyone is warm. A wood fire, inside or outside, is a great way to help everyone feel cozy. If you are an animal lover, sleigh rides are an addition that will delight all ages. If you love winter landscapes but don’t want to freeze outside, you can opt to stay warm but still bring winter elements inside by adding a TapSnap wedding photo booth rental to your wedding! Surround yourself with falling snowflakes by using animated customizable backgrounds which is one of our newest features. These customizable backgrounds offer endless photo opportunities, so you can be surrounded by falling snowflakes… as you stay warm!